For 122 years ‘The Ossett Observer’ was a weekly broadsheet newspaper for the town of Ossett. In 2011 Jacqui and Ralph re-imagined what Ossett Observer could be for the town and how it might, like the original, be a source of information and storytelling. Initially we set up a twitter account with the name ‘Ossett Observer’ we did this for a couple of reasons. 1. We wanted to use a name that didn’t identify us as artists but one that we hoped local people would recognise. It’s got the name of the town in the title so we thought we’d be easy to find. And we were. We quickly built a following that allowed us to do things with lots of people that lived and worked in the town. 2. Jacqui’s granddad had worked for the paper from the age of 14 to retirement at 65. He started out as a trainee reporter and ended up as editor. As a child Jacqui would spend school holidays ‘helping’ her granddad at The Observer Office on Station Road and would be allowed to undertake important daily tasks like putting written up articles ‘onto the spike’, swivelling round a lot in a big old battered leather desk chair and pretending to write novels on a cast iron Underwood Typewriter. The inspiration for a lot of Ossett Observer’s projects comes from the town’s heritage and telling stories about the people who live and have lived here. 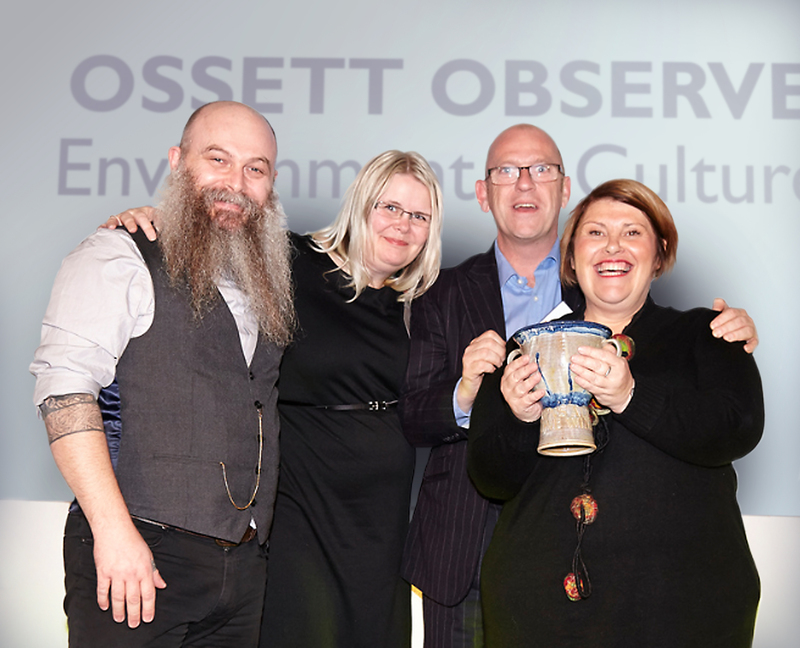 In 2013 we won the Towns Alive Trailblazer Award for our transformative project ideas and in 2015 Ossett Observer became a full time arts practise.